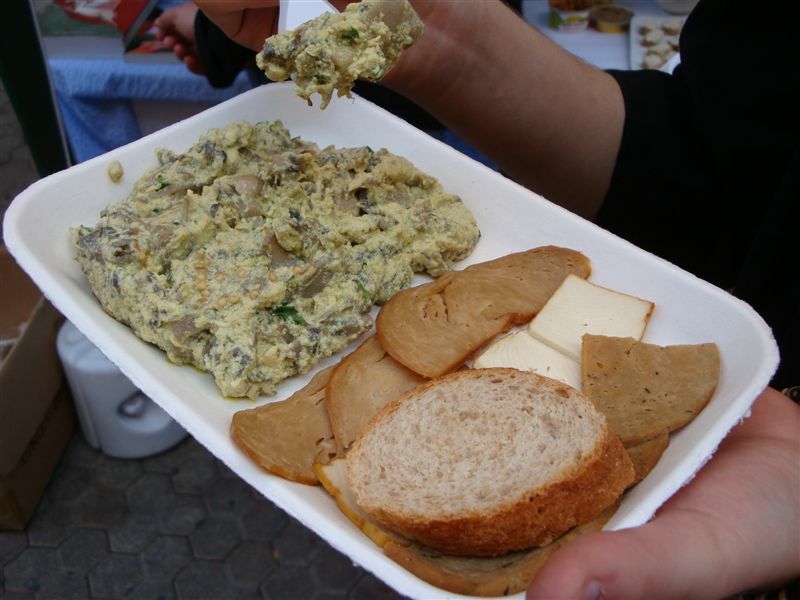 On the Petar Preradovic Square, starting at 11 A.M., Animal Friends is inviting its fellow citizens to the vegetarian breakfast where they will be served vegetarian scrambled eggs without eggs, cereals with grain milk, tofu and plant paté, and salami also purely plant based. The vegetarian version of the day’s most important meal is a better solution for your health, especially your cardio-vascular system and it is ethically acceptable because it doesn’t include harming of animals. World Vegetarian Day is the day of the more than 150,000 vegetarians in Croatia, a number which is constantly increasing, but also for the rest of the population that understands the importance of the vegetarian way of life. After inviting you to the vegetarian breakfast, Animal Friends invites you to the vegetarian lunch. 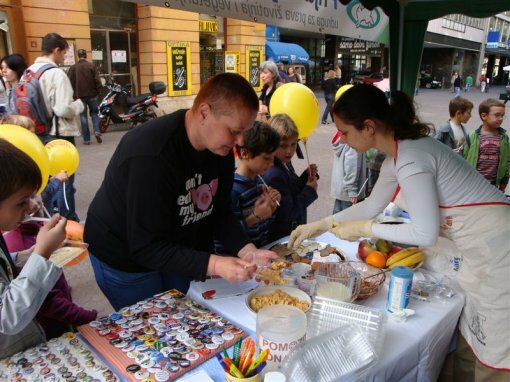 It will be held on the Petar Preradovic Square, starting at 1 P.M. where we will be serving spaghetti alla Bolognese. World Farm Animals Day was first held by the American organization FARM – Farm Animal Rights Movement on the birthday of the ethical vegetarian Mahatma Ghandi. Today it is observed around the world, with the purpose of drawing attention to the suffering of more than 50 billion cows, pigs, turkeys, chickens, and other sentient animals in the world's farms and slaughterhouses. 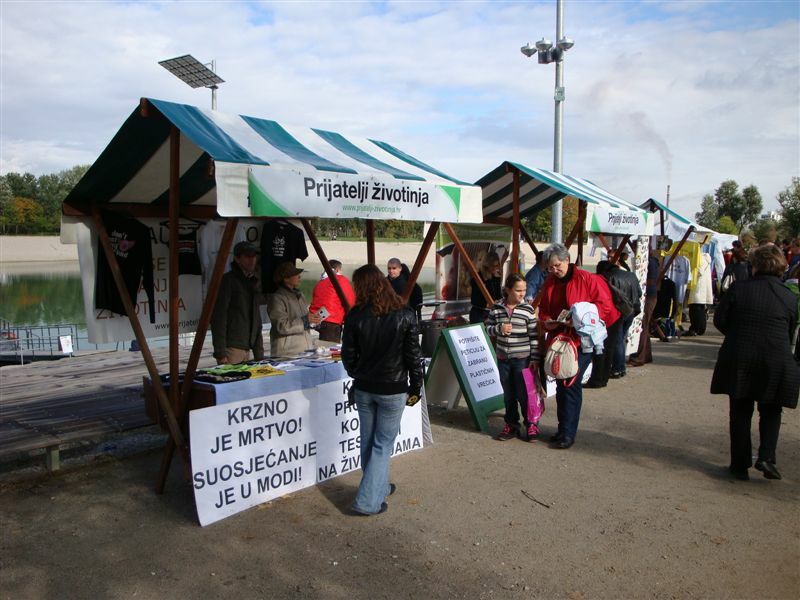 On October 3 the Animal Friends Days continue with a whole-day info stall and our citizens will be able to inform about animal protection and rights. At 7 P.M. there is going to be a video projection Food for Life, a famous short movie by the organization Viva! that is translated into Croatian. The film is meant primarily for the youth and represents strong evidence of a moral decline of the world, but also gives a positive message that there is room for improvement. The projection will last until 9 P.M.
As a tradition, the City of Zagreb is marking World Animal Day and this year it will be held on Bundek lake. Together with other animal protection organizations, Animal Friends will participate with their own info stall and on the stage, Lea Dekleva will announce the project called "I Love Animals" which brings together many famous singers in a band aid for animals with the song "Nema isprike (No excuse)." Along with the info stall, there will be a vegetarian restaurant serving healthy food. The premiere of the theater play called Timbuktu will be held at the theater ZKL Travno, Bozidara Magovca 13, starting at 8 P.M. The play draws attention to the homeless of the human and dog kind and also encourages giving abandoned animals a home. 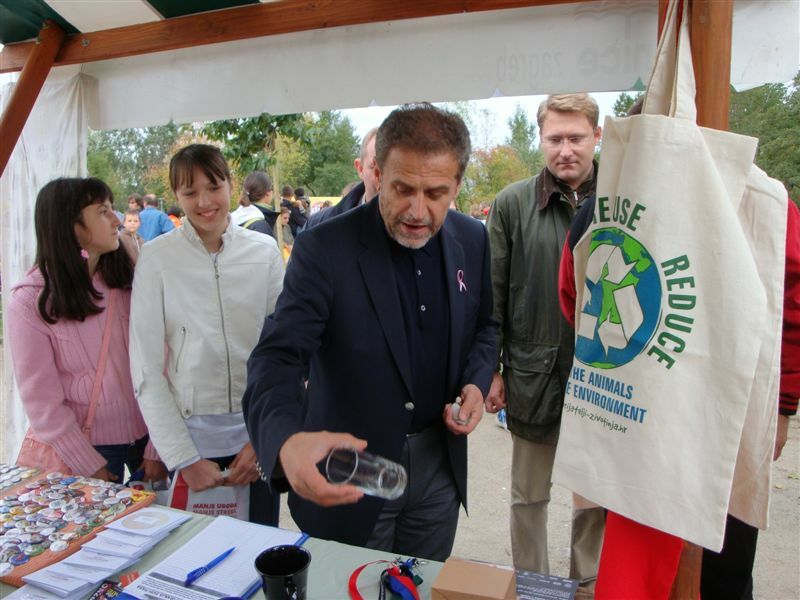 The play will go on until October 19 in the ZKL Travno. During Animal Friends Days, on the info stalls of Animal Friends, you will be able to sign the petition against the use of plastic bags, get (purchase) T-shirts with animal rights slogans at affordable prices and various flyers which should encourage awareness and change in behavior for the well being of animals, the environment and our own.